This a two day cultural festival for those loving all things natural. A weekend of celebration, embracing Natural Hair, Beauty, Health & Wellness. A family occasion full of postive vibes and high energy. If you missed last year, then you don't want to miss this one!!! 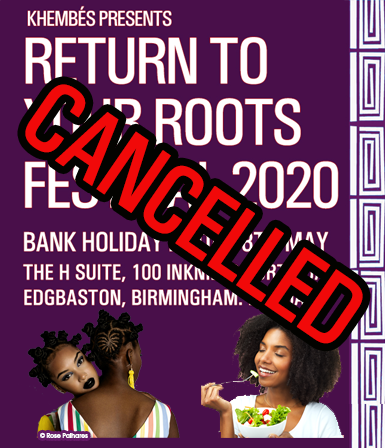 Come and share in the celebration, fellowship and fun at Return To Your Roots Festival 2019. Want to know more about looking after natural hair? Interested in improving your health and wellness. Looking for useful information and guidance on the above? Well look no further! Find out all you need to know about natural hair & beauty, experience product demonstrations, get easy maintenace and styling tips. Focussing on how to ensure optimum physical and psychological health & wellness through the use of natural herbs, diet, exercise and mindfullness. Hear from the best, participate in discussions, get your questions answered and share valuable information with like- minded people and health & wellness experts.